Three New Zealanders qualified for Apolima Strait 2018 at the Long Bay 10km swim on Saturday morning. One of the qualifiers is former Manu Samoa and H.P.U. rugby trainer Dave Edgar. Others to qualify are Andrew Cave of Auckland and Alice Sagar of Wellington. They will join 9 other swimmers from Australia (2), France (1), India (1) and Houston, Texas (1) and Samoa (2) for the fifth Apolima crossing. There are two other Kiwis seeking qualification at other races in January. 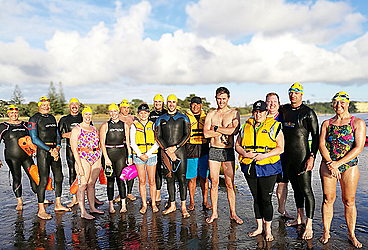 The Long Bay swim is an annual event held by Samoa Events in Auckland’s North Shore for Kiwi swimmers to qualify for the Upolu to Savaii swim. Swimmers must go under 4 hours for the 10km distance. A total of 12 swimmers participated in the swim with a few eyeing up spots for the 2019 swim. Next year’s swim is promising to be the biggest field since the first race in 2015. The record for the crossing is held by Philip Ryan of Auckland for the men in a time of 5hours 03minutes and Abbie Armstrong of Hamilton, NZ for the women in a time of 6 hours 30 minutes. Both records were achieved in 2015. For the first time the Long Bay qualifier was held in rough conditions brought on by a stiff easterly early on Saturday morning. That did not stop all swimmers from finishing the race. Dave Edgar and his wife Julie are looking forward to returning to Samoa to “do something different”. 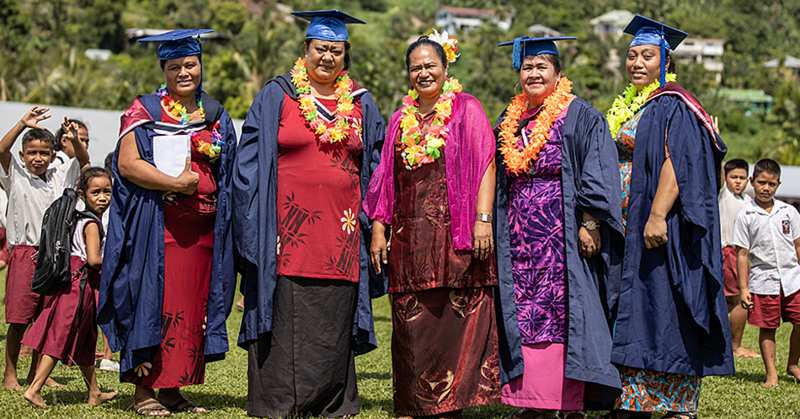 They lived in Samoa between 2010 and 2012 when Dave was contracted to SRU and HPU. “I have always wanted to swim Apolima Strait and this is my chance to tick this off my bucket list,” he said. 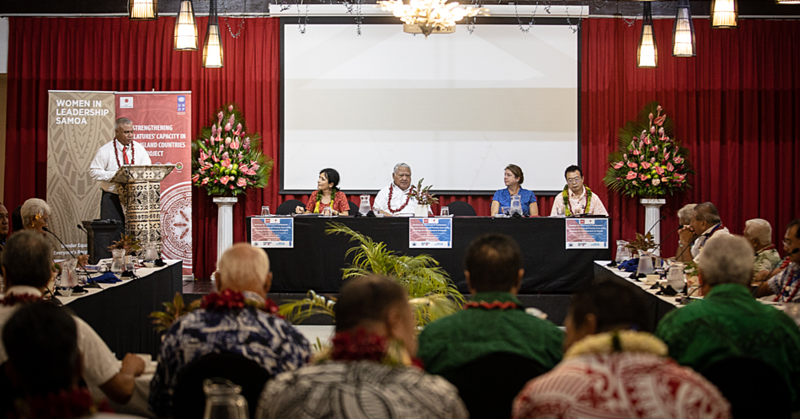 Dave said that the only events that were on when he lived in Samoa were the Perimeter Relay and the Marathon that was organised by the US Veterans. He became the very first solo runner to run the 104km Perimeter Relay in 2012. Dave’s time of 2:52:03 puts him well within the qualifying time. Su Scott (Nelson) 3:49:28 Non-Wetsuit.